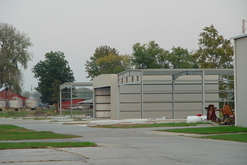 One of the things that makes Creve Coeur Airport so special is that you can own your own hangar and it never reverts to the airport. 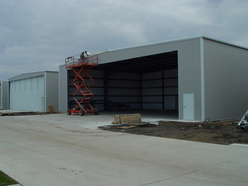 The airport rents the ground that the hangar sits on but the building itself belongs to the buyer. 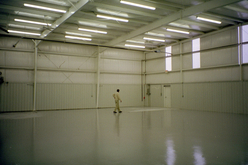 Standard lease terms are twenty years with five year extensions. 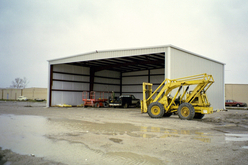 Our most common hangar sizes are 50' x 60' and 60' x 80' but we can build to suit your needs. 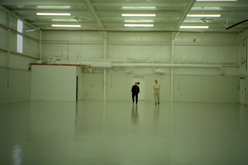 Our hangars have what we believe is the best hangar door design in the world so please come out and see for yourself why over 100 hangar owners have decided to make Creve Coeur Airport their home base. 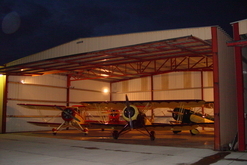 Private hangars and airport owned hangars are often available for full or partial rent. 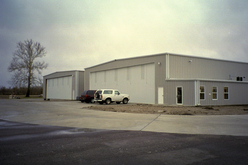 For more details, please call our office at 314-878-9575. Copyright 2011 All Rights Reserved. 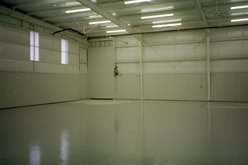 Creve Coeur Airport Improvement Corporaton.